The events presented in this study of the Biblical Blood Moon Calendar, reflect a unity of celestial events in the history of Israel on key feasts and holy days of Israel’s sacred calendar. As we research these celestial signs, namely the Blood Moon Tetrads and other solar and lunar eclipses over the last 2000 years, we gain a deeper understanding of the prophecies leading to the end of days and the victorious return of our Lord and Savior Jesus Christ. It helps to have some perspective on how the Almighty Creator embodied the order of His celestial symbolism in the structure and sacred blueprints and patterns of the Temple and Tabernacle of Israel. The numbers that highlight the Jubilee cycle [Levi. 25:4,8] are a combination of seven, twelve and fifty, at the core of God’s division of Space-Time in the cycles of day and night. We can see the roots of His “sacred geometry” in the famous 3-4-5 triangle, popularized in the ancient world by the Pythagoreans, but applied long before them by Elohim, the Creator & “Great Geometer,” as the Pythagoreans called Him. The affinity between the numbers seven and twelve is found in this unique triangle because the sum of 3 + 4 gives the number of days in the Week of Creation, the blueprint of all seven-day weeks to follow. It also numbers the 7 spiritual administrations and the Sabbatical years in the Godly temporal order. The sum of 3+4+5 gives us the number of 12 Months in a year, relating to the signs of the zodiac and the 12 tribes of Israel. The sum of it’s square’s gives us the number fifty related to Pentecost and the Hebrew Jubilee. As we multiply 3 x 4 x 5 it equals the base 60 number standard underlying the precession of the equinoxes, ordering all Space-Time in Creation. 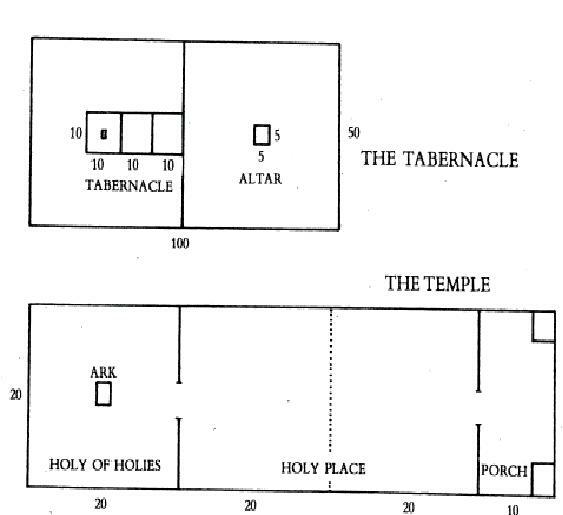 The graphic below shows the relation of the 3-4-5 triangle to the double square rectangle as a basis of the Hebrew Temple & Tabernacle, as seen below, with these exact dimensions also being found in the Kings Chamber of the Great Pyramid. The double-square rectangle, in Fig. ii below, corresponds to the basic ground-plan for the O.T. 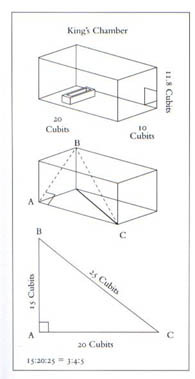 Tabernacle incorporating the phi ratio, or golden section, also containing the 3-4-5 triangle, as a basic geometric symbol of the Creator’s life-giving power. The phi ratio is a ruling principle of growth, in all God’s kingdoms of terrestrial life. Phi governs growth-life, dictating the standard of the rate of change, as life-forms transition from one stage of growth to the next in time. God is too big for us to grasp in the unity of His totality, so he made it easier for us, His created beings to relate to Him by the way He ordered His creation. We can get a sense of Who He is by studying the manifestation of the microcosm in the Natural order of the Heavens and Earth. The perfect ratio of the golden section gives us an ideal perspective to understand the nature and beauty of the Creator’s Light, through the life of Christ, the Light of the World. As Phi is the governing principle, (auxano) of both the microcosm, ruling over the growth of terrestrial life, so it also rules over the macrocosm, providing the basis for example, of the musical harmony in the celestial order of the planets of our solar system, evident in germinal form in Bodes Law, and Kepler’s Laws of Planetary Motion. The same phi ratio that rules the Heavenly order is also evident in spiral form of galaxies and other aspects of the celestial order, [Romans 8:19-23]. Exodus 26 denotes in verses 15-30 a description of wooden boards constituting the Tabernacle’s Inner Court structure. This wooden framework was assembled from 48 boards, eachten cubits high, and 1.5 cubits wide... This mirrors the structure of the 12 zodiacal signs/12 months, including their 36 decans (12+36=48), divided into ten degree decans. This shows not only an evident celestial plan, but also marks the Tabernacle as the focal point of the celestial and spiritual light of God’s presence on Earth during the early Old Testament Law period. 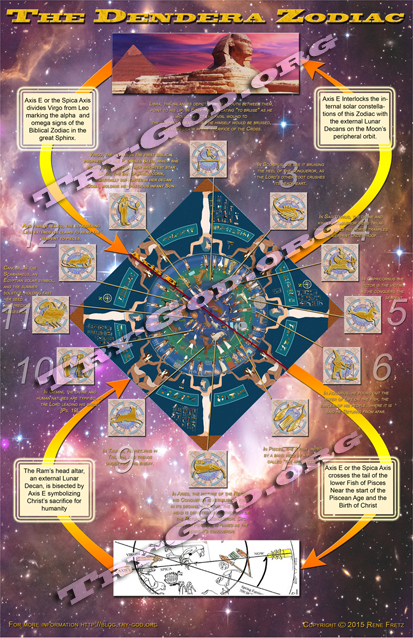 As the 12 signs of the Hebrew zodiac embody the structure of Israel’s temporal order (12 x 4=48), with each tribe symbolizing one of the 12 sons of Jacob, whom God renamed Israel, after his spiritual inheritance, so we expect to see this symmetrical pattern in other aspects of the Creator’s Intelligent Design of Creation. One example is found in the Tabernacle’s order of Priests, also instituted in the Temple by Kings David and Solomon, 480 (12 x 40 or 120 x 4) years after the Exodus in 1446 BC. These two greatest Kings of Israel, each reigned 40 years, and Solomon began building the Temple in the 4th year of his reign, the 480th year following the Exodus of Israel, [I Kgs. 6:1]. This 480-year period allows 12 x 40-year generations, a generation for each of Israel’s 12 tribes, which Moses lead through the wilderness for 40 years, during the third 40-year segment of his life (40 x 3=120). One hundred-twenty shows up in other key areas which should arrest our attention. For example, there were 120 ropes holding up 60 wooden pillars of the Tabernacle, even as Noah built the Ark in 120 years, [Gen. 6:3]. Also Moses’ life span was 120 years [Deut. 34:7]. [II Chron. 5:11-14] shows 120 priests blowing silver trumps unified with the Israelites in their praise of God, resulting in God filling the House with the cloud of His presence. [Acts 1:15] also shows 120 believers in the Temple on the Day of Pentecost, [I Cor. 3:15-16]. This reflects the same base 60 number pattern seen in Noah’s Calendar of 360-days, (120 x 3 =360). [read more]. The sacred year began in Nisan with the spring Passover, and the civil year in the fall, started with the first of Tishri, the Day of Trumpets, signaling the onset of the holiest 7th month. The separate weeks of this luni-solar year were ordered according to the 7 -year sabbaticals summarized in the 50-year cycle of Hebrew Jubilees, as we have previously seen, in the unity of the Luni-solar cycles according to the Symmetry of the phi ratio. We can see hints of this temporal order based on the number 50, in the 50 loops and taches coupling the Tabernacle’s curtains together, making it one tabernacle. [Exod 26: 5-6, 10-11]. As we witness unity in the Tabernacle’s coupling of its curtains through 50 loops, fastened to the 48 wooden planks of the Inner Court walls, so the unity of the celestial cycles of the two great lights of the Sun and Moon, is summarized in the 50 year Jubilee. This 50-year sacred cycle epitomized the ideal unity of the divine temporal order, embodies numerous details of the Tabernacle’s structure, which we have only listed a few here. Since the Moonlight is only the reflected light of the Sun, the unity of the luni-solar cycle shedding their combined light on the Earth, fulfills God’s purpose for the celestial bodies delineated in Gen. 1:14-16. In the brief summary above, a basis is laid to better understand Israel’s feasts and holy days in light of their symbolism in the structure of the Temple and Tabernacle. This provides an important contextual understanding for the Blood Moon Chart that follows. The Chart below reflects 9 Biblical Blood Moon Tetrads as they relate to key events in the History of Israel over nearly the last 2000 years. It is interesting to note that some of these key dates are repeated where these celestial signs have occurred. We have noted dates where Solar or Lunar eclipses took place within a day of Hebrew Feasts and Holy days in the years of Blood Moon Tetrads. The only exception to this are the Solar and Lunar eclipses that happened from 69-71 AD, marking the Roman’s destruction of the Jerusalem Temple, which were not Blood Moons, but other types of eclipses that took place on Hebrew Feasts and Holy Days. This provides a historical summary of Blood Moon Tetrads as they are linked with critical dates in the history of Israel, leading up to end times and the current day as we are experiencing the last Blood Moon Tetrad that will take place, linked with Hebrew Feast and holy days over the next 500 years. God knew in His infinite and eternal wisdom that these celestial signs would shed light on the events leading to the apocalypse, so that His faithful followers would be ready for the Second Coming of His only begotten Son Jesus Christ. Sukkot 4/14/32 10/7/32 4/3/33 9/27/33 Jesus Crucified in 28 AD, 4 years prior to 32 AD. From April 14th-15th we find a 2 Passover Blood Moons in 32 and 2014, along with a Passover Penumbral Lunar Eclipse in 70 AD. In 2014 as in 70 AD the Jews were at war. From October 7th-8th we find 3 Sukkot/Tabernacle Feast Blood Moons in 32 AD, 1949 and 2014, along with a Penumbral lunar eclipse on the Feast of Tabernacles/Sukkot in 70 AD. In 1949 Israel fought for and won their independence as a state, as in 2014 they are currently fighting Hamas. From September 12th-13th we find a Blood Moon on Yom Kippur in 843, and a Partial Solar Eclipse on the Feast of Trumpets in 2015. On October 18th we see a Partial lunar eclipse in 69 AD, and a Blood Moon in 1967, both on the Feast of Tabernacles/Sukkot. During both years the Jews were at war. On March 30th we see a Rosh Hashanah Total Solar eclipse in 70 AD, and a Passover Blood Moon in 861. On October 3rd, we see Yom Kippur Blood Moons in 795 and 860. In both years, the Islamic hordes are dealt key defeats on the battlefield preventing their advance in Europe. Of these above eclipses showing common dates, only 3 occur on the same Hebrew Feast or Holy day. Both eclipses from October 7th-8th and those falling on October 18th, are all on the Feast of Tabernacles. Also both Blood Moon eclipses on October 3rd fall on Yom Kippur. It is noteworthy to point out the similarity in Passover Blood Moons that occurred on 4/13/68 and 4/15/2014. The 1968 Passover Blood Moon was part of a Blood Moon Tetrad that was completed in this Sabbatical Year, on Israel’s sacred calendar. The 2014 Passover Blood Moon initiates a Blood Moon Tetrad, concluding in the Israel’s Jubilee Year of 2015, the summation of 7 Sabbatical cycles in the 50th year. The similarity however does not stop here. According to NASA, Mars which is only a week past its closest point to the Earth; [opposition] was 9 degrees NW of the Blood Moon in Virgo, which is very close to the celestial scenario on 4/13/1968, also in Virgo. With the Red Planet Mars this bright in the sky, it rivals the Blood Moon in Virgo, and as we consider the symbolism of Mars in Biblical Astronomy, this gets even more interesting. In Biblical Astronomy, Mars embodies Michael the Warrior Archangel who fights for God’s people, so we see Mars coming to Israel’s [Virgo] aid in a time of crisis or war. Throughout the OT, God Almighty used Israel as an example of His Power, Grace and Love as He delivers them from their enemies. We saw this in the Blood Moon Tetrads of 1949-50 and 1967-1968, in Israel’s Battles for statehood, and as they regained control of Jerusalem for the first time in nearly 2000 years. 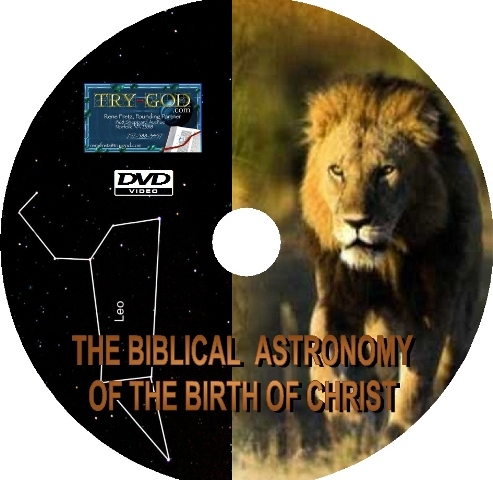 In Biblical Astronomy Spica is a very important star to understand. As the brightest star in Virgo, Spica, or as it is known in the Hebrew zodiac, “Al Zemach,” means- “the branch” in reference to Christ as the branch or offspring of God the Father. The Four Gospels indicate the 4 ministries of Christ: as seen in this Hebrew word “zemach”-branch. This word is used 12 times in the OT, but these four usages delineate the 4D Ministry of the Messiah, Jehovah’s Branch, each set forth in the Four Gospels. 1. Matt.-King of Righteousness [“Kingdom” referred to in Matthew more than anywhere else] [*Zech. 9:9, Jer. 23:5-6, 33:15] Thus the royal genealogy is in Matt. 1:1-17]. “Kingdom of Heaven” is only in Matthew, none of the other gospels. 2. Mark–Servant of Jehovah [“Lord” 3 times here, 78 times in the other 3 gospels] [Isa. 42:1, Zech. 3:8] Thus No genealogy is given in Mark. 4. John– Son of God [Zech. 4:2][“father”-121 times, only 66 times in the other 3 gospels. “My Father”-35 times only 18 times in the other 3 gospels, “only begotten” 4 times, none in other gospels]. The purpose of every chapter in John’s Gospel reveals Christ’s true identity. Thus, when we grasp how God’s Word employs the usage of Spica, the zemach branch, the complete 4D ministry of Jesus Christ unfolds for us. Spica in Virgo is also prominent in the celestial signs marking the birth of Christ, uniquely linked to the planet Jupiter. 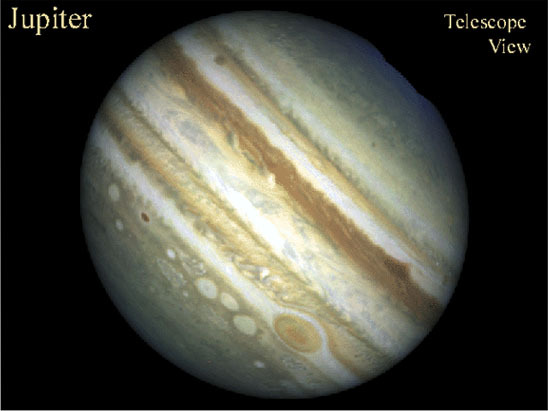 As seen @Try-God.com, the celestial mechanics starting Jupiter’s triple crowning of Regulus; its annual retrograde motion guided Jupiter’s stand still in the heavens for about six days near the ecliptic–Meridian crossing, mid-body in Virgo. This occurred in the celebration week of the Feast of Dedication in December of 2 BC. Also recall the kinship between the cycles of the Sun and Jupiter, and that it was the Sun mid-bodied, “clothing” Virgo for the 20-day period, from August 27th to September 15th, as one of the celestial prophecies marking the birth of the promised seed-Jesus Christ. The word “arise” in verse 2, is not only used of the Sun and light generally, but it occurs with two of it’s derivatives in Isaiah 60:1-3, Jer. 23:5. As we have seen regarding Jer. 23:5, the sedeq planet Jupiter, is linked with the Messiah, Jesus Christ the righteous zemach-branch, and is one of five primary Old Testament prophecies pertaining to the Branch, the coming promised seed. However, with hese stationary reflections of Jupiter and the Sun, we have an additional Messianic-solar association. The reference of “arise” above, is intriguing when considered not only from the aspect of Jupiter standing still, in Virgo, but also referring to the setting time of the star Spica in Virgo, bearing the Hebrew star name “Al Zemach.” Thus it serves as a unique celestial marker of the moment of Christ’s birth, following on the heels of Sunset, with the Sun clothing Virgo, and the Moon at her feet, in the first moments of Tishri 1, [Sept. 11th, Annivesary of Creation] 3BC. Virgo provides the setting for both Jupiter standing still on the Meridian over Bethlehem, the birth-place of Jesus Christ, and the star-set of Spica between the Sun & Moon refering to the birth-time of Jesus Christ, at the beginning of New Year’s day, Tishri 1, on the sacred calendar of Israel. Even as these celestial signs that marked the birth of Christ were prominent to the Magi, so we have identified a set of similar signs following the Blood Moon Tetrad of 2014-2015, that may mark the return of Christ in the same way. We have already considered the relationship between the Sun and the sedeq planet Jupiter apparent above, in light of the celestial kinship between these two heavenly bodies. Even as Jupiter stood still in retrograde motion in Virgo marking Christ’s birth, so we may also see it in retrograde motion in Virgo marking his victorious Second Coming! The Messianic-solar relationship is seen not only in Malachi 4:2 above, but also in Revelation 21, where Jesus Christ returns as King of Kings and Lord of Lords. Rev 21:22-23 And I saw no temple therein: for the Lord God Almighty and the Lamb are the temple of it. And the city had no need of the sun, neither of the moon, to shine in it: for the glory of God did lighten it, and the Lamb is the light thereof. As the manifested glory of God on the level of the senses, Jesus Christ the only begotten Son of God, the light of the world, will illuminate the City of Righteousness, the New Jerusalem with his unified four dimensional ministry as the capstone and chief corner stone of the body of Christ. There will be no need of a Temple at that time, because even as the Magi were coming to pay respect to, or worship, the young King of the Judeans, in 2 BC, so will all Earth’s inhabitants in that day, for every knee shall bow and every tongue shall confess to him, who is the head of the Church, the true Temple.